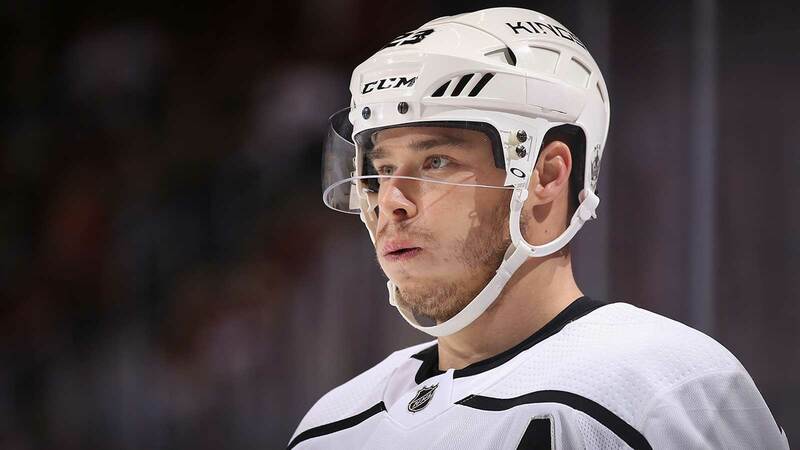 LA Kings forward Dustin Brown has been fined $10,000 by the NHL. Los Angeles’ Dustin Brown fined $10,000, the maximum allowable under the CBA, for cross-checking Pittsburgh’s Justin Schultz. The fine from the NHL Department of Player Safety was assessed after Brown’s major penalty for cross-checking Pittsburgh Penguins defenseman Justin Schultz during last night’s game. Brown will be available for tonight’s game against the Anaheim Ducks (NBCSN). Brown has recorded two goals and an assist in the Kings three games against the Ducks this season, including some late-game heroics. In the Kings lone game in Anaheim so far this season, Brown scored the game-tying goal in the third period. He later assisted on Nick Shore’s overtime-winning goal. On Nov. 25, Brown tied the game with the Kings net empty late in the third period. The Department of Player Safety also handed out a fine to Penguins forward Evgeni Malkin for spearing Brown earlier in the game. Pittsburgh’s Evgeni Malkin fined $5,000, the maximum allowable under the CBA, for spearing Los Angeles’ Dustin Brown. There was no penalty called on the play. The Kings are on the road tonight to take on the Ducks at 7 p.m.